One thing I hope to do with this blog is address the alarming lack of content that has been a pervasive problem since I started graduate school last semester. To make up for it, over the next week, I'm going to be giving excerpts from papers I wrote while in graduate school last semester. Please note that these are going to be sometimes dense, often boring, and most likely not very good, but I'm sure someone out there is going to enjoy them. 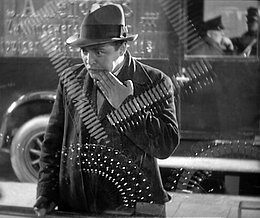 The first here is a paper I wrote on Fritz Lang's M as a work of proto-noir. 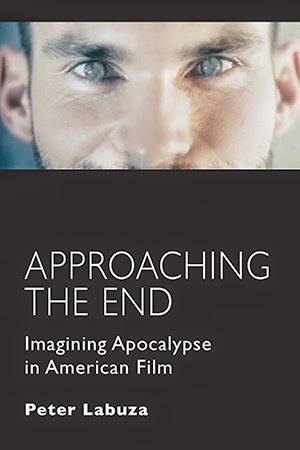 Please note that I refer through the paper to a chapter Chris Fujiwara wrote on Out of the Past, which can be found in his book on Jacques Tourneur. M is in very much about the city—the structures allow for the anonymity of Beckert to walks the streets without suspicion, which also addresses Fujiwara’s third point related to cities. As Gunning explains, “Berlin is a city hungry for and inundated by information. But the way this flow of information interrelates essentially alienated is attested to by Beckert’s letter, his desire to communicate…yet remain anonymous.” M demonstrates both textually and visually how urban landscapes and technology are essentially responsible for letting Beckert get away with his murders. Berlin is a city of strangers, so during an early sequence, a number of strangers are accused of being the murderer for no particularly reason in striking point-of-view shots, which also implicate the spectator and further suggest the anonymity of the murderer as it extends beyond the screen space. Later, the iconic thumbprint towers over the investigator, as technology emphasizes and empowers the myth of the monster. Most essential however is the approach of the police to capture Beckert in comparison to the gangs and how they fail. The police use their archival documents and topographical view of the city (as noted by the many maps Lang highlights in scenes with them) to search for Beckert, leaving them with a name and an address but no man. Instead, it is the criminals who find the man in bodily form (his name remains anonymous). Thus, like the classic noirs, M suggests a world in which the institutions that create and signify progress are also the ones where exploitation is most likely to occur, and here it is the rise of the interconnected institution of the city. Most of Fujiwara’s points here have been used to describe the ways we can classify M as the proto-noir, but the next elements are those which fundamentally question the film’s relationship to the genre, and help contextualize the film in the works of Lang more than an overall genre. The fifth and sixth points on Fujiwara’s noir list relate to characters, specifically the private detective and the femme fatale. Neither of these characters appear in M, though nor does a protagonist. While Beckert is the only characters whose psychology is explored in depth, he is a silent, almost unknowable character till the end of the film when he speaks to the mock trial. Before that, the closest we can come to a protagonist in M is through the living, interconnected city. This is in stark contrast to Double Indemnity and Out of the Past, which are so focused on their central characters. 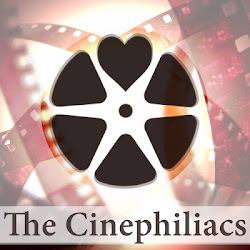 Instead, M presents memorable characters—the poor mother of Elise, the stern detective Lohmann, and the gang leader Safecracker—but none feels as central to anything in the narrative as their totality (a match cut edit between Lohmann and Safecracker during their monologues furthers their interconnectivity). The lack of a femme fatale may actually be less difficult to describe, because the film does present a character with striking similarities to the model—Beckert himself! Beckert is the homme fatale, a dualistic, sometimes stark-raving mad and sometimes passionately innocent character who has no true center. His split personality, which also recalls the proto-noir text Dr. Jekyll and Mr. Hyde (the split is not of his own volition, however) becomes the final conflict the film presents. If there is one key trait of the femme fatale, it is that the character is ultimately unknowable. Mary Ann Doane writes, “She harbors a threat which is not entirely legible, predictable, or manageable.” What is fascinating about Out of the Past and Double Indemnity is that by the end of the film, the femme fatale characters are never truly revealed. Phyllis screams at the end that she always loved Walter, but there’s no way to know whether her plan with Nino was to actually murder Neff. Cathy seems to be hell-bent on controlling Jeff, but her final monologue about returning to Mexico paints her as delusional more than conniving. Both these characters are at one point haunted visions of beauty (consider Cathy’s dream-like entrance from the cinema, or the close-ups on Phyllis’s leg) and at other times terrifyingly soulless. Can one thus argue that Beckert fills that same role? His soft features and High German dialect suggest an otherness to his character, and his facial expressions front of the mirror, along with his letter to the press, suggest a narcissistic obsession with performance. But the final monologue by Beckert complicates the relationship with the character. Who exactly is Beckert? One might argue because Lang gives the spectator full access to him visually during this sequence that one might argue this is the man at his most elemental—Gunning certains describes it as such. But so much of M is about the complexity of this case, and the film ends without resolution to Beckert’s fate. Such resolution would clearly suggest a specific sentiment toward Beckert and his true identity, yet that never happens, and thus he remains a homme fatale. This relates to Fujiwara’s final point, and why M is only abstractly a noir film—there is no entrapment of a hero who is thus destroyed. Beckert is not a hero. Instead he is the monster, and never meets any specific fate. Lang turns his camera outward from the characters toward the city to question their own actions and the consequences of it. 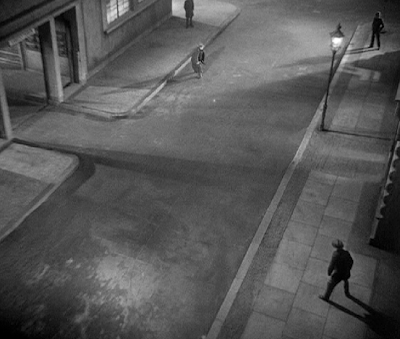 And this is why M is much more a Lang film than a noir film—it is obsessed with the products of its own environment in a way noir seems only tangentially interested, perhaps because of its limiting subjectivity in a number of the features. Lang’s obsessions of environment appear in the proletariat uprisings against the towering architecture of Metropolis (1927), the resistance figures that spring to life in the Fascist allegory of Hangmen Also Die! (1943), and the mystical elements of fate that arise from the labyrinth-inspired temples of The Tiger of Eschnapur (1959) and The Indian Tomb (1959). Spatial dimensions in Lang always give rise to persona by the cultures that harvest those environments. 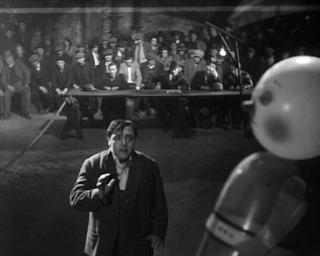 Gunning, The Films of Fritz Lang, 176. Janey Place, and Lowell Peterson, "Some Visual Motifs on Film Noir," Film Noir Reader, ed. Alain Silver and James Ursini (Plomton Plains, NJ: Limelight Editions, 1996), 67. Schrader, “Notes on Film Noir,” 57. Mary Ann Doane, Femmes Fatales: Feminism, Film Theory, Psychoanalysis, (New York: Routledge, 1991), 1. Gunning, The Films of Fritz Lang, 194-195.